The Musée de l'Ordre de la Libération is a military museum located in the 7th arrondissement at 51 bis boulevard de La Tour-Maubourg, Paris, France. It is open daily except Sunday; admission is free. The museum is dedicated to the Ordre de la Libération, France's second national order after the Légion d'honneur, which was created in 1940 by General Charles de Gaulle, leader of the Free French Forces. In 1967 de Gaulle moved the Order of the Liberation into Les Invalides. The museum contains three galleries and six rooms (total 1,000 m²) documenting the history of the Free French Forces, de Gaulle's manuscripts, resistance activities, and the concentration camps. Showcases contain more than 4,000 objects including uniforms, weapons, clandestine press and leaflets, transmitters, flags taken to the enemy on the battlefields of Africa and Europe, the first naval flags of Free France, and relics from the camps. The hall of honor is dedicated to General de Gaulle. ^ Paris. Petit Futé. ISBN 2746918854. The 7th arrondissement of Paris is one of the 20 arrondissements of the capital city of France. In spoken French, this arrondissement is referred to as septième. 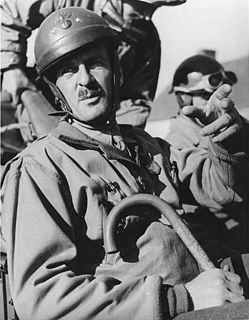 Philippe François Marie Leclerc de Hauteclocque was a French general during the Second World War. He became Marshal of France posthumously in 1952, and is known in France simply as le maréchal Leclerc or just Leclerc. The Order of Liberation is a French Order which was awarded to heroes of the Liberation of France during World War II. It is a very high honour, second only after the Légion d’Honneur. Very few people, military units and communes were ever awarded it; and only for their deeds during World War II. A different order, the Médaille de la Résistance, was created and awarded for lesser but still distinguished deeds by members of the Resistance. Georges Thierry d'Argenlieu, in religion Father Louis of the Trinity, O.C.D., was a Discalced Carmelite friar and priest, who was also a diplomat and French Navy officer and admiral; he became one of the major personalities of the Forces navales françaises libres. He was the chancellor of the Ordre de la Libération. The Musée de l'Armée is a national military museum of France located at Les Invalides in the 7th arrondissement of Paris. It is served by Paris Métro stations Invalides, Varenne, and La Tour-Maubourg. The Musée Pasteur is a museum dedicated to scientist Louis Pasteur. It is located within the Institut Pasteur at 25 Rue du Docteur Roux, Paris, France, in the 15th arrondissement, and open daily in the warmer months; an admission fee is charged. Sèvres – Cité de la céramique is a French national ceramics museum located at the Place de la Manufacture, Sèvres, Hauts-de-Seine, a suburb of Paris, France. It was created in January 2010, from the merger of the Musée national de Céramique-Sèvres and the Manufacture nationale de Sèvres. The museum is open daily except Tuesday; an admission fee is charged. Access to the museum by public transportation is available from Tramway d'Île-de-France station Musée de Sèvres on Tramway T2, and by Paris Métro station Pont de Sèvres on Line 9. The Musée des Plans-Reliefs is a museum of military models located within the Hôtel des Invalides in the 7th arrondissement of Paris, France. The Musée de la Franc-Maçonnerie is a museum of Freemasonry located in the 9th arrondissement at 16, rue Cadet, Paris, France. It is open daily except Sundays and Mondays; an admission fee is charged. The closest métro station is Cadet. The museum was established in 1889 by the Grand Orient de France as a cabinet of curiosities in the Hotel Cadet. It was despoiled in the German occupation of France during World War II but reopened in 1973, and in 2000 became an official museum of France. In that same year, many of its historical documents were returned from Moscow, where they had been held by the KGB after Germany's defeat in World War II. The Musée national des Monuments Français is today a museum of plaster casts of French monuments located in the Palais de Chaillot, 1, place du Trocadéro et du 11 Novembre, Paris, France. It now forms part of the Cité de l'Architecture et du Patrimoine, and is open daily except Tuesday. An admission fee is charged. The Musée national de la Légion d'honneur et des ordres de chevalerie is a French national museum of orders of merit and orders of chivalry. It is located in the Palais de la Légion d'Honneur beside the Musée d'Orsay at 2, rue de la Légion-d'Honneur, in the 7th arrondissement of Paris, France. It is open daily except Monday and Tuesday; admission is free. The nearest métro and RER stations are Musée d'Orsay, Solférino, and Assemblée Nationale. Geoffroy Chodron de Courcel, was a French nobleman, soldier and diplomat. The Mémorial de la France combattante is the most important memorial to French fighters of World War II (1939–1945). It is situated below Fort Mont-Valérien in Suresnes, in the western suburbs of Paris. It commemorates members of the armed forces from France and the colonies, and members of the French Resistance. Fifteen representative French fighters were buried here in an elaborate ceremony on 11 November 1945. The present memorial was opened on 18 June 1960. It has a wall in which are set sixteen bronze reliefs that represent in allegorical terms the different phases, places and participants in the struggle. Jean-Marie Querville, was a French Navy officer of the Free French Naval Forces, a Compagnon de la Libération, became the Commander-in-Chief for the Mediterranean, then Maritime Prefect, following as an inspector general of the Marine Nationale and Admiral.